AUB’s Center for Civic Engagement & Community Service in collaboration with Aie Serve invite you to an Introductory Session about Aie Consult – The NGO Incubator & Consultancy Program on Tuesday April 16th and Wednesday April 17th at 6pm. The role of the Non-governmental organizations has tremendously grown in the past years to become vital in solving social problems, creating awareness, and serving the community, thus giving the opportunity for many initiatives to nourish. Each organization must have solid foundations in order to be influential. 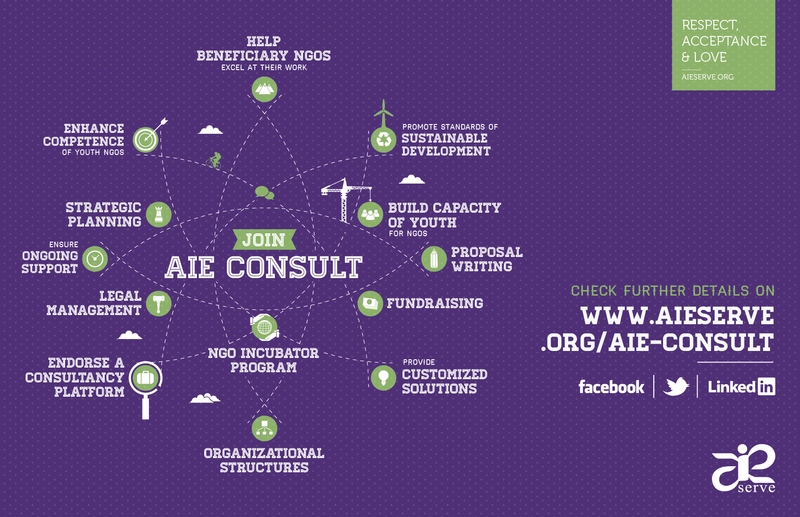 Being professionally organized on the managerial, financial, and strategic levels in order to efficiently tackle problems, and lead projects is what Aie Serve aims to equip youth lead NGOs through its Aie Consult program. – Would you like to know the procedures needed to register an NGO or amend its bylaws?